Out of our 24,000 volunteers at the Schomberg Agricultural Fair each year, a large percentage of that has been made up our local youth. We would like to acknowledge the youth of the Schomberg community and surrounding areas that give freely of their time to help make our Fair a success year after year. The importance of involving young people in our community, especially from an agricultural standpoint, cannot be overstated enough. Looking to future generations for the upholding of important traditions such as the Schomberg Fair is integral to not only sticking to our roots, but also creating new and innovative ideas to spread awareness about and improve the quality of our agricultural community. Our Fair Ambassadors are chosen from a group of young people who are particularly active in the community. They represent the Schomberg Agricultural Society, and therefore are an essential part of the success and promotion of our Fair. 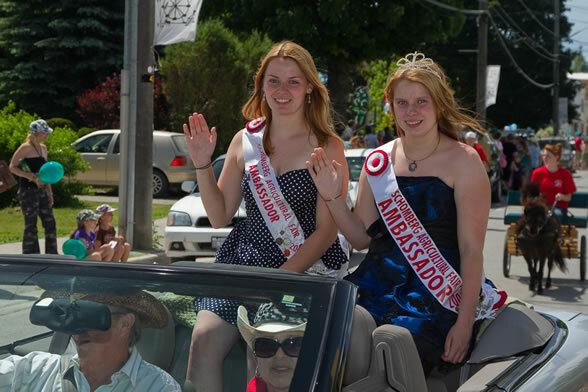 For a message from our current Schomberg Fair Ambassador, Shelby Croft, please see the 2014 Schomberg Fair Ambassador message. To learn more about becoming a volunteer, please visit the Jobs link.